Erasing your hard drive before you give it away is important. Exactly how thorough an erase you need depends on your data and level of paranoia. Laptops are portable, convenient and easily lost. When lost, all the data could easily be available to the finder. Encryption is the answer. password, only to have the account stolen almost immediately again. Ask Leo: How do I keep my information on a shared computer private? you’re attempting to keep it private from. Ask Leo: How do I keep from getting my account hacked? Ask Leo – Someone is sending from my email address! How do I stop them?! 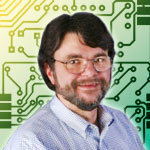 PC Pitstop is proud to welcome industry veteran Leo Notenboom as a new guest contributor. Leo has been involved in the tech industry for nearly 30 years. After retiring from an 18 year career as a Microsoft Software Engineer Leo went on to create Ask Leo!, a free web site where he answers real questions from ordinary computer users.